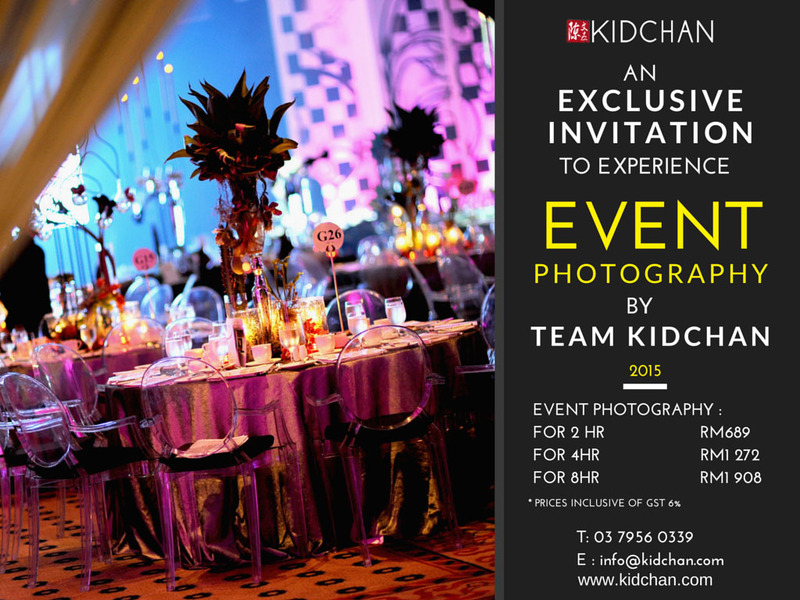 *KIDCHANSTUDIO Lifestyle & Corporate Event Photography Rates & Pricing for 2015. * Corporate Event Photography rates in this page are only a guide and estimates for event in Klang Valley. Coverage is sufficient for general event documentation. However pricing may vary due to client requirements,location, complexity and scale of event. For a more accurate quote, kindly fill in the following form and provide itineraries (when possible).